2/22/18 - Two new classes added this week! These classes begin in one week and won't be offered again until the Fall - don't miss out! Let Cherie teach you the Celtic Knot Appliqué technique used to create this stunning 12” x 46” table runner! To register, either click the picture above, click HERE to sign up online or simply call the shop at (610)900-4700. Seminole quilting originated from the Seminole patchwork used for clothing by southeastern Seminole Native Americans. In the late 1800s it was a long trip from the Everglades to trade for cotton cloth so women began sewing strips made from the fabric left on the end of the bolts to make what was know as “strip clothing”. The sewing machine became available to these women around the end of the 19th century making it possible to use much smaller strips. Seminole designs grew to become even more elaborate and complex. Seminole patchwork was usually used for traditional dress including the women’s long full skirts and big patchwork shirts worn by the men. Even today these garments are worn for special occasions. These beautiful Seminole patchwork patterns eventually became popular in quilt making as well. Seminole piecing in quilting can lead to beautiful, often elaborate designs. 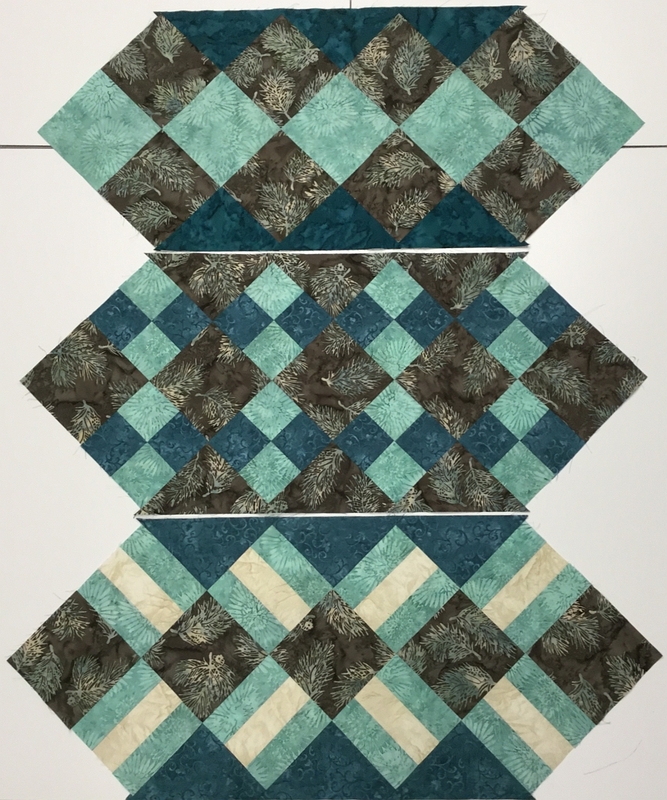 In this class, Cherie will teach you how to make the quilting piece more intricate by simply changing the design of one block. A door prize from Checker will be awarded after each session! To register, please call the shop at (610)900-4700. Online registration will be available next week. 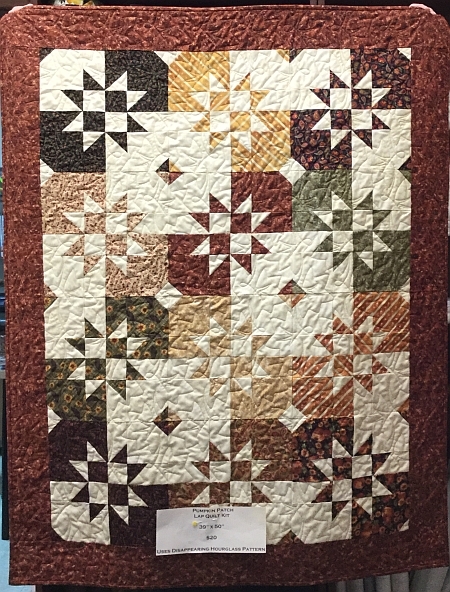 Kits are available now for $20 to make this 39" x 50" quilt which uses the Disappearing Hourglass pattern. Kits are available for $20 to make this Celtic Shamrock Wall Hanging which measures 36" x 36". Sewcial Guild - The next scheduled meeting will be on Thursday, March 22nd, 2018 from 11am - 2pm. The guild meets in the upper floor Gallery of the Palmerton Library, across the street from the Shop. Elevator access to the upper floor is available.